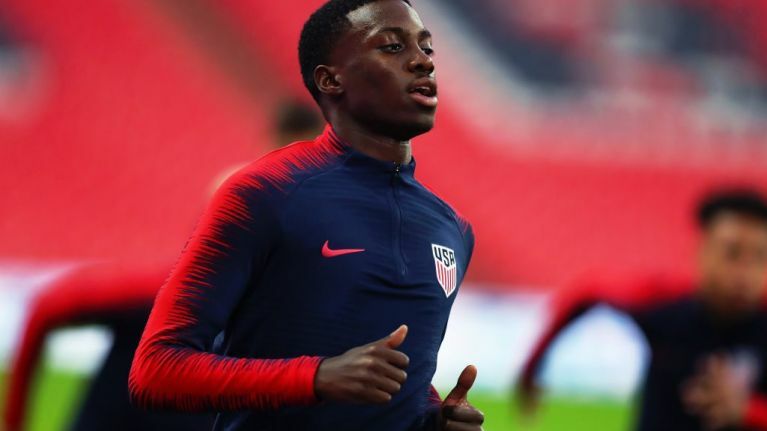 Timothy Weah, the son of former Ballon d'Or winner , George, could be set for a move to England this summer. Weah Jnr's playing time has been limited at Paris Saint-Germain this season. Despite scoring in their Ligue 1 opener against Caen in August, his last game for the French champions came in their next outing against Guingamp, where he was replaced by Kylian Mbappe at half-time. 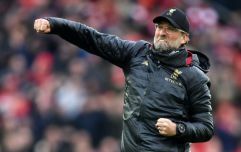 The 18-year-old is now expected to make a loan move in January in order to secure more playing time, with a tweet from the Guardian's Ed Aarons claiming England is a possible destination for the young forward. Weah's father also played for PSG, but was at the peak of his powers while at AC Milan in mid to late 1990s. Since retiring, he's pursued a career in politics and was elected president of Liberia earlier this year. The 51-year-old also made his final appearance for his national side in September - briefly coming out of retirement to play over 70 minutes of a friendly game against Nigeria. Unlike his father, Timothy, who was born in New York, plays his international football for the USA and played in their recent friendly against England at Wembley. Though he's struggled for playing time at his club, he's also played for his country against Brazil, Mexico, Colombia and Peru since his last game for PSG.